Li-ion batteries are receiving increasing attention over the past decade due to their high energy density. This energy storage technology is expected to continue improving the perfor­mance, especially for their large-scale deployment in plug-in hybrid electric vehicles and full electric vehicles. Such improvement requires having a large variety of analytical techniques at scientists´ disposal in order to understand and address the multiple mechanism and processes occurring simultaneously in this complex system. In this talk, recent developments of two electrochemical techniques, i.e. 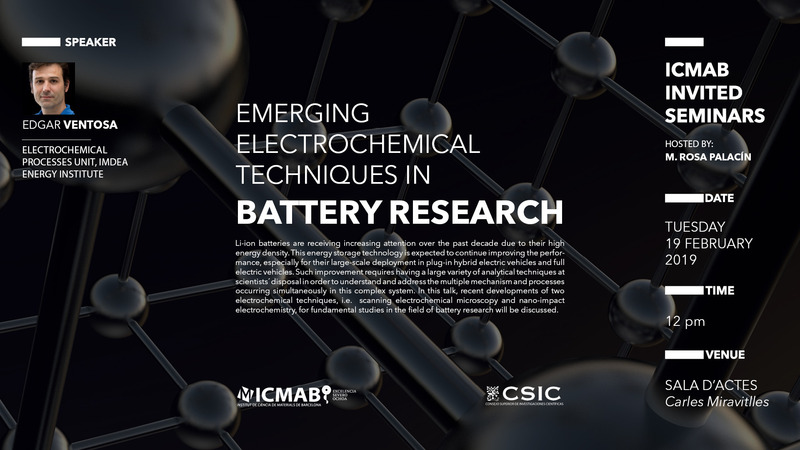 scanning electrochemical microscopy and nano-impact electrochemistry, for fundamental studies in the field of battery research will be discussed.